Online Dating Scams: Scammers are Ruining Over-50 Online Dating! I’ve been doing online dating for about 15 years — and met two men online that I had long, happy relationships with. But now… online dating has changed. In years past, when you got an email from a nice-looking man, it was a good thing. If he lived somewhere in a 25-mile radius, could put sentences together and appeared fairly normal — better yet. But now — scammers are taking over online dating sites and preying on women over 50. You get an email from a good-looking man. The man compliments you profusely. The man wants you to write back from your personal email — outside of the safety of the online dating site — to his personal email. The way he writes may indicate that English is not his native language. He tells you how rich he is, and the reason that “business” has taken him out of the country for an extended period of time. If you write to him from your personal email account and check the online dating site, you’ll notice his profile is no longer available — so you can’t report him. Ultimately, he tells you a sob story about how he needs money for some emergency — and asks you to send it to him. It’s gotten so bad that I’m immediately suspicious if a good-looking man writes me online, and even more so if he starts his email with compliments. How sad is that?! The abundance of online dating scams is such a disappointment! It’s hard to tell now which men are “real” and which are scammers! A friend of a friend fell for stories from three different strangers she’d never met and ended up giving them her entire retirement account and life savings. So it pays to be cautious. It’s always been fairly easy (and entertaining!) to find a good man on a dating site, but why did this one way to meet men have to become such a challenge? This entry was posted in dating, online dating, online dating scams and tagged dangers of online dating, online dating, online dating dangers, online dating horror stories, online dating scams, over 50 online dating scams. Bookmark the permalink. 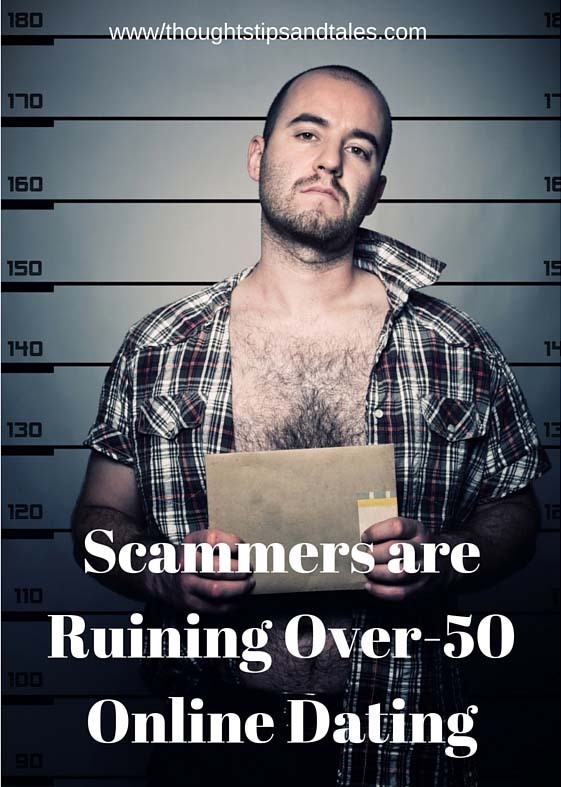 7 Responses to Online Dating Scams: Scammers are Ruining Over-50 Online Dating! Oh mu god! Tell me about it! I’ve been trying to help my mother-in-law meet someone for over a year now! It just crazy that almost every good guy is a scammer! We do this now: skype or we just don’t entertain. It’s pretty simple. (Even though some people have tried to cheat with skype, it’s pretty obvious). The first time it happened last year, I could see that this guy was way too good to be true, but I foolishly thought “Why not? She deserves a guy like that!”. Then too many things did not add up and we decided to let go. Our main issue is that most website won’t receive my mother-in-law’s application so we have to stick to the same dating website, even though we know it’s filled with fake people! My advice: State right from the beginning “I’ve had issues with fake profiles and I would feel more comfortable to discuss on skype or facetime right away to see if we really feel a connection between us”. If he has an excuse and won’t try to solve it (like I can’t now, but tonight no problem!) then drop it. Thanks for the great tips! Good points. I kind of shy away from Skype because it’s usually not too flattering — but if it weeds our “fake” people, then it might be worthwhile. The best excuse for money was “My mom died, my aunt in a coma, I spent all the cash I had with me, my friends already helped me with hospital bills, I don’t know what to do” and the next e mail “could you help me out my love?”.